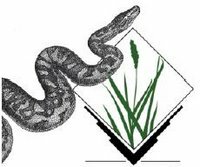 Please help us testing the Python3 support in the yet unreleased GRASS GIS trunk (i.e., version “grass77” which will be released as “grass78” in the near future). Python 2 is end-of-life (EOL); the current Python 2.7 will retire in 11 months from today (see https://pythonclock.org). We want to follow the “Moving to require Python 3” and complete the change to Python 3. And we need a broader community testing. Problems and bugs can be reported in the GRASS GIS trac. Code changes are welcome! This entry was posted in Blog, GIS, GRASS, GRASS development, OSGeo, Python on January 28, 2019 by neteler. After a bit more than four months of development the new update release GRASS GIS 7.4.2 is available. It provides more than 50 stability fixes and improvements compared to the previous stable version 7.4.1. An overview of the new features in the 7.4 release series is available at New Features in GRASS GIS 7.4. Efforts have concentrated on making the user experience even better, providing many small, but useful additional functionalities to modules and further improving the graphical user interface. Segmentation now support extremely large raster maps. Dockerfile and Windows support received updates. Also the manual was improved. For a detailed overview, see the list of new features. As a stable release series, 7.4.x enjoys long-term support. … further binary packages for other Linux distributions will follow shortly, please check at software downloads. To get the GRASS GIS 7.4.2 source code directly from SVN, see here. https://grass.osgeo.org/grass7/manuals/addons/ (list of available addons)First time users may explore the first steps tutorial after installation. This entry was posted in FOSS4G, FOSSGIS, GFOSS, GRASS, OpenSource, OSGeo, Python on November 1, 2018 by neteler. A fourth release candidate of GRASS GIS 6.4.3 is now available. … further packages will follow shortly. Key improvementsÂ ofÂ this release include some new functionality (assistance for topologically unclean vector data), fixes in the vector network modules, fixes for the wxPython based portable graphical interface (attribute table management, wxNVIZ, and Cartographic Composer), fixes in the location wizard for Datum transform selection and support for PROJ.4 version 4.8.0, improvements for selecting the Python version to be used, enhanced portability for MS-Windows (native support, fixes in case of missing system DLLs), and more translations (esp. Romanian). First time users should explore theÂ first steps tutorialÂ after installation. Please join us in testing this release candidate for the final release. This entry was posted in Blog, GIS, GRASS, GRASS development, OpenSource, OSGeo, Python on July 11, 2013 by neteler. Key fixes include improved portability for MS-Windows (native support), several module fixes, and especially the introduction of a new, Python based portable graphical user interface which includes a new vector digitizer. Commonly referred to as GRASS, this is a Geographic Information System (GIS) used for geospatial data management and analysis, image processing, graphics/maps production, spatial modeling, and visualization. GRASS is currently used in academic and commercial settings around the world, as well as by many governmental agencies and environmental consulting companies. GRASS is official project of the Open Source Geospatial Foundation. This entry was posted in GRASS, GRASS development, OSGeo, Python on February 19, 2008 by neteler. This entry was posted in Python on November 25, 2006 by neteler. Today PyWPS 1.0.0 has been released by Jachym Cepicky. PyWPS (Python Web Processing Service) implements the OGC Web Processing Service (WPS) standard in Python programming language. It has been written with native support for GRASS GIS which allows for accessing GRASS modules via Web. Processes can be run asynchronously. By default, GRASS GIS is supported, other tools (R, GDAL/OGR, PROJ.4, …) can be configured, too. A first demo application can be seen here: WUIW – a PyWPS AJAX Web Interface. This entry was posted in GRASS, Python on November 9, 2006 by neteler. After an extra round of hacking, the new SWIG based new GRASS 6.3 Python interface starts work within a GRASS session. We can now call GRASS C functionality in Python scripts. Via libera for GRASS as GIS backbone for other software packages! This entry was posted in GRASS, Python on September 23, 2006 by neteler.